Do you have experience and expertise that could benefit your colleagues? 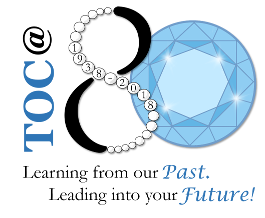 Why not share them with your peers as a presenter at TOC’s Professional Development Program? We invite you to share with the TOC community your experiences, tools, skills, and insights on relevant topics in training and human capital in the federal government. The Annual Institute Program Committee invites you to share tools, skills, and insights on the most timely and relevant topics regarding training in the federal government by submitting a proposal to present at the 2019 Training Officers Consortium (TOC) Annual Institute. We are seeking creative, engaging and topical presentations that speak to our theme, while addressing one or more of the five OPM Executive Core Qualifications (ECQ’s) and associated competencies. We are especially interested in exploring best practices with practitioners in federal Agencies, who can provide rich examples and scenarios that will allow for effective learning transfer to the federal workplace. For more information, see the Call for Proposals page. Don’t delay, the deadline for proposals is January 31, 2019!